Port and border authorities face a huge challenge being in the front line of the battle against cross-border smuggling. To do their job, they need effective and reliable technology to confront illegal activities and minimize any threats – but without disrupting the flow of global trade. This is no small task, given the increasing scale of smuggling – whether of drugs and other illegal materials, dangerous goods, contraband or people. The sheer quantity of cross-border traffic of goods and people means that there is no reasonable way for authorities to search every container, vessel and vehicle. So, intelligence and information are absolutely fundamental to deciding which containers, cargo vehicles and passenger vehicles are inspected. Border and ports authorities have many different streams of information which help them choose where to search. This information includes where people and goods are coming from, the credibility of the carrier, the content of a vessel, information from law-enforcement authorities, blacklists, and other activity at the port or border. All this information is fragmented and derived from a wide variety of sources – from paper manifests to knowledge sharing from person-to-person – and there is such a vast amount of it that it could easily prove overwhelming. However, Big Data tools can be used to draw together information from multiple sources to create a single, reliable source of information that can be used by officials at ports and borders. Machine learning takes the data and turns them into something usable – suggesting a specific action or helping officials in their decision-making process. This is where technology such as Smiths Detection’s CORSYS comes in. CORSYS is a secure, cloud-based digital ecosystem that allows ports and customs authorities to control their entire security operation from a single, secure, one-window platform. A new case is created when targets enter a port or border crossing and data is ingested automatically from multiple sources and formats including biometrics, declaration forms, and information from shipping companies. This data is combined with machine learning inputs and aggregated into a single “source of truth,” which enables better decision-making. Each vessel or even container can be considered on a case by case basis, for example using information about the port of origin, where the vessel has visited since, and who loaded it. CORSYS involves automatic risk assessment, where scores are generated automatically based on complex algorithms that are linked to configurable risk categories – such as national security, smuggling, import/export and revenue collection. What this means is 100% data inspection and risk assessment using big data and machine learning, which vastly improves the accuracy of suspicious target identification. This enables ports and borders staff to spend less time scanning and inspecting low-risk passengers and containers and focus more on where genuine threats might be lurking. 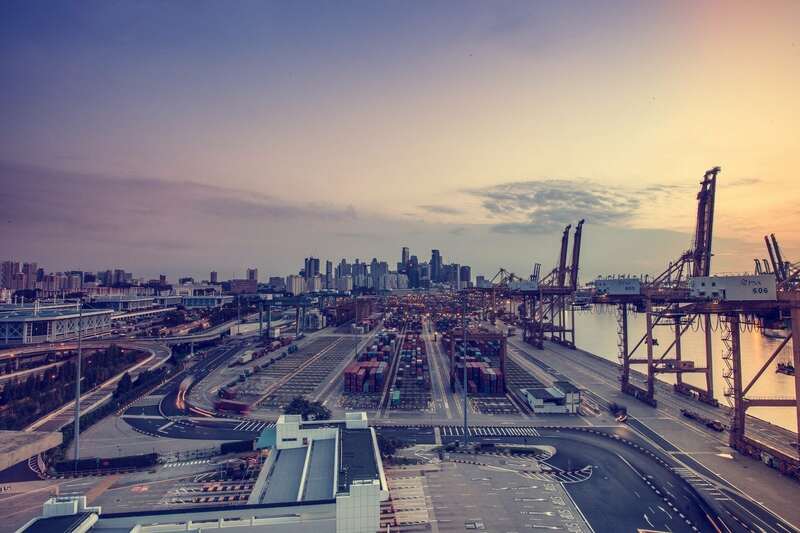 Deploying Big Data and machine learning at ports and borders can significantly reduce the amount of illegal or harmful goods and contraband that enter a country. By preventing the smuggling of goods, governments and societies will benefit from collecting tax revenues that would otherwise be lost. For ports and borders authorities, the main benefit of deploying such technology is that it liberates human resources. At a port or border, an officer is the most important – and scarce – resource. By providing officers with the right tools and information, they can optimize their time by reducing guesswork in decision-making and they can also avoid unnecessary manual handling. The benefit to the customer is a much more informed outcome for each container arriving into their respective ports, allowing a Customs Administration to inspect 100% of the data relating to their inbound (and outbound) containers with fewer resources, yet yielding a much higher level of inspection fidelity. With the right technology in place and by harnessing the power of Big Data and machine learning, port and borders authorities can transform their operations and ensure that their borders really are “smart”. And smart borders means borders that are safer and more secure. White Paper “Using Big Data for Machine Learning Analytics in Manufacturing”, Tata Consultancy Services (2014).